Blackheads are pesky, tiny inky dots that appear on your chin, arms, shoulders and T-Zone area. Even though you can easily use makeup to conceal them, once in a while, it’s important to get your skin cleaned up. There are multiple reasons why they show up on your chin. 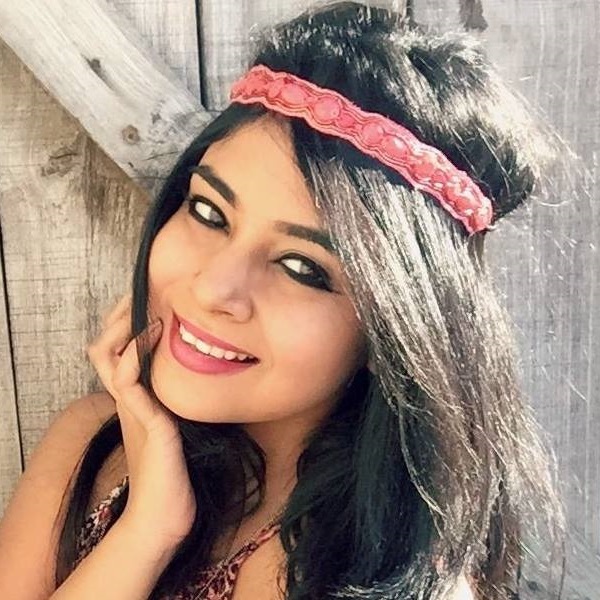 A hormonal imbalance caused due to periods or hitting puberty could be one of them. Stress is the other. Not washing your face too often and having a poor diet could also be responsible for those bumps too. The good news is you don’t necessarily need an expert to treat this mild form of acne, you can take care of your skin by yourself! 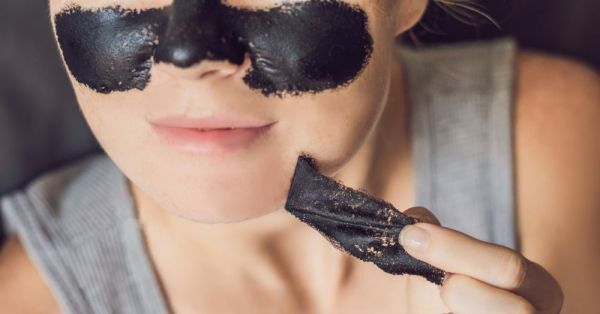 Here’s are 8 ways to get rid of blackheads on the chin. 1. Exfoliate With Full Power! Before you exfoliate your skin, expose your skin to steam. The steam helps open up your pores and makes cleansing an easier process. After a few minutes of steaming your face, wash your skin using a scrub. Each time that you exfoliate your chin, you scrub off a layer of dead skin cells and your pores are left squeaky clean. 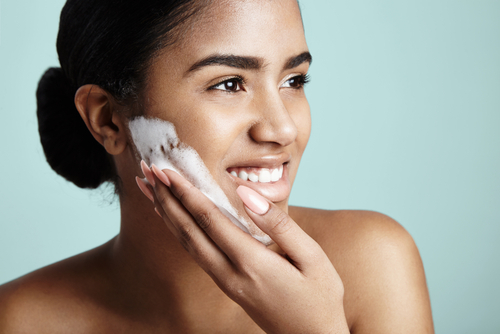 Since over-exfoliation can irritate and damage skin, you should do it 2-3 times a week max. Just how you would put on a blackhead strip on your nose, you’ve got to do the same for the blackheads on your chin. If you don’t get a strip, use a peel-off mask. This mask is sticky at first, but apply it on your chin, nose and forehead. Don’t touch your face for about 15-20 minutes. Now for the fun part - once it’s dried up, slowly peel it off. If you don’t want to splurge, you can make a mask at home using milk and honey. All you’ve got to do is mix a tablespoon of milk powder with two big tablespoons of honey. Put the mix in the microwave for about 30 seconds. Apply the hot paste on your chin and leave it on for a bit. Once the mask has dried up, you can peel it off using your bare fingers. An egg white mask is super nourishing for your skin. The mask will not only improve the texture and elasticity of your skin but will also keep the blackheads at bay. Take some tissue and place it on top of your face. 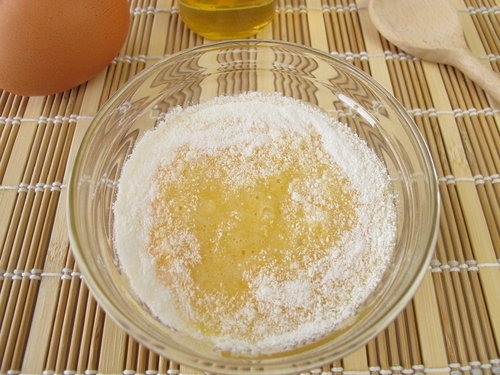 Dip a paintbrush into a bowl of egg white solution. Apply the egg mask all over your face and don’t wash your face until 25-30 minutes are up. 5. How About Some Lemon Juice? 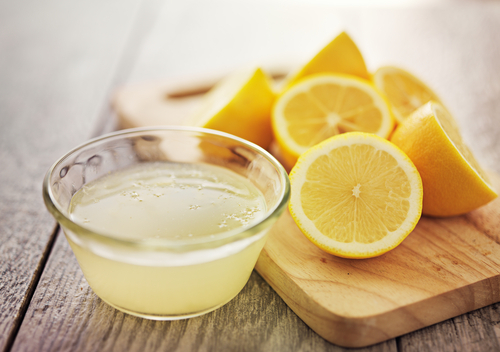 Lemon juice has bleaching properties as you know. These tiny yellow babies help to fade blemishes and prevent blackheads from forming. Start by dipping a cotton ball into a bowl of fresh lemon juice. Apply the soaked cotton ball over the blackheads. Continue to do this 4-5 times for a week for positive results. Dermarollers are tiny in size, but they can help you get the best skin ever! How it works you ask? It’s pretty simple actually. It pricks your skin and later tricks your skin to renew itself by repairing itself. It not only tackles blackheads on your chin but also treats acne, scars, wrinkles and fine lines. Be gentle while you do it! 7. A Laser Treatment Can Save You! Don’t go ahead with this treatment unless your dermatologist gives you the green signal. 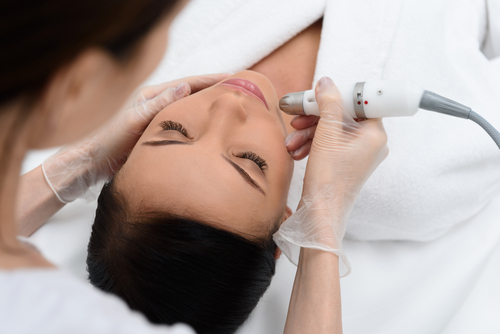 If the condition of your blackhead worsens, getting a laser treatment done will save your skin from scars and acne. The laser beam’s aim is to destroy the bacteria that are hidden inside the pores. Don’t worry if you spot any redness at first, give it a few days and it’ll go away. Good luck! Not the kind to use a beauty tool or apply a product to deal with blackheads? Well, we’ve got another solution for you that involves eating your way to pretty skin. Vitamin C is essential for skin’s health. Bell peppers, strawberries, guavas, papaya, strawberries, kiwis, oranges, leafy veggies are packed with vitamin C. Include them in your everyday meals and you’ll never have to deal with blackheads ever again.